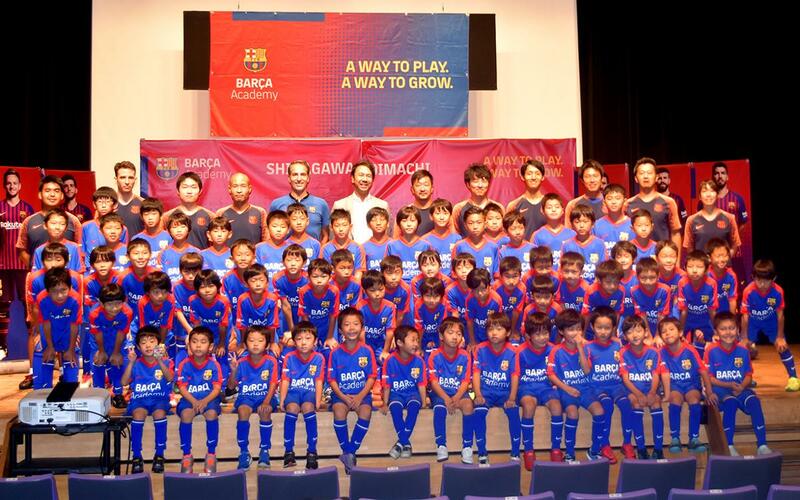 FC Barcelona's presence in Japan is ever-increasing, and the country now has the largest amount of Barça Academy headquarters in Asia thanks to the opening of a fourth academy this past weekend. The new football school, located in the centre of Tokyo, has the backing of Rakuten and is located in the recently opened Oimachi Sporu facilities. There, children between the ages of 4 and 14 are educted about football with the Barça methodology. The director of the Barça Academy Shinagawa Oimachi local project and head of Barça Academy activity in Japan, Jesús Almansa, commented that "The inauguration of this new headquarters can be defined as a very important moment for the international Barça Academy family. The dream of opening a fourth academy in Japan has become a reality, and we are doing it in the centre of the capital at a new facility. We are convinced that this will help us significantly to keep growing in this country and expand our brand, spreading the Barça methodology and values across Japan." Besides the first training sessions, aimed at the younger participants, the weekend also featured meetings with parents of students. There, the sporting programme was presented and the development and improvements in the methodology explained, as well as the internal league format and the magnitude of the Barça Academy worldwide.